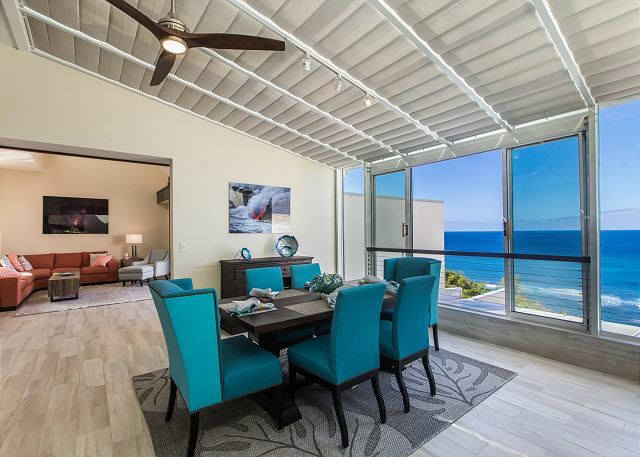 Spectacular 4th floor Penthouse Oceanfront Corner unit has breathtaking Ocean and Mountain views and is fully air conditioned. Completed 2018 contemporary, luxury renovation is exceptionally beautiful. 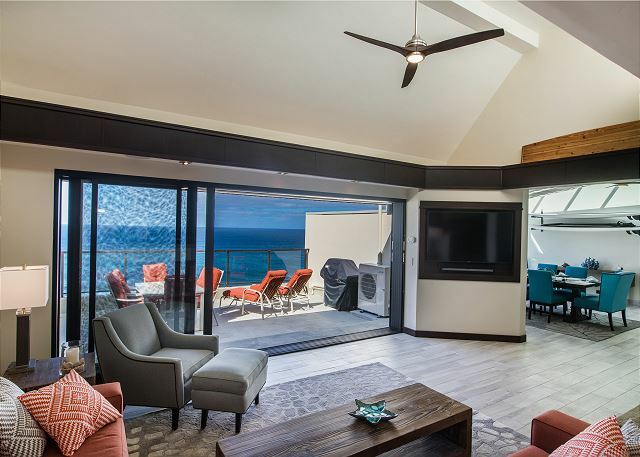 This penthouse unit is arguably one of the finest oceanfront condos on Kauai’s North Shore. 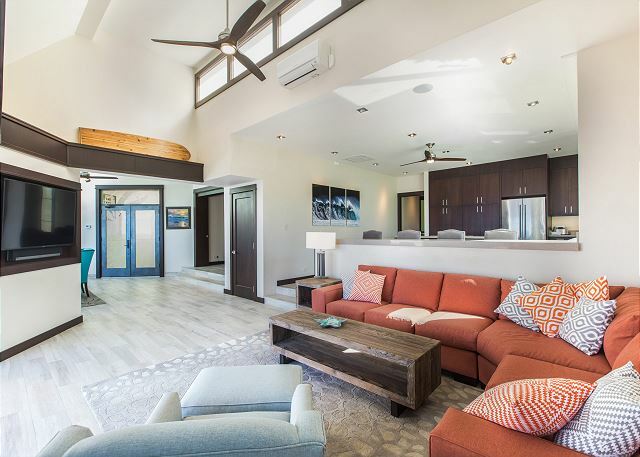 Gorgeous unobstructed ocean views from your lanai, kitchen, living room, dining room, and master bedroom are perfect for spotting whales, dolphins and our surfers. 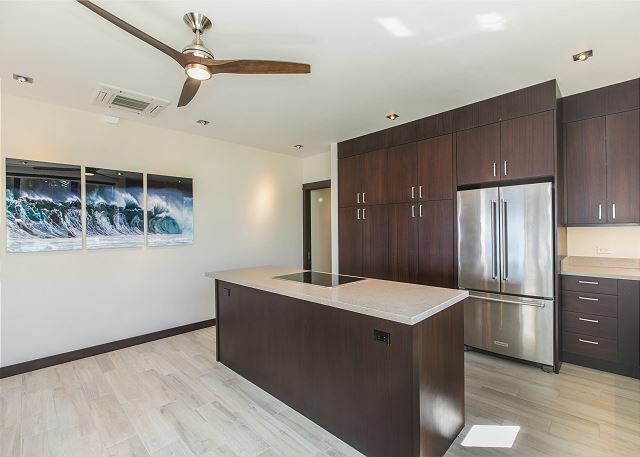 Unit also features gorgeous views of the Hanalei Mountains. Extensive custom craftsmanship throughout the entire unit surrounds you with luxury while expansive ocean views captivate your senses. Absolutely everything is brand-new, top-of-the-line, state-of-the-art and fabulous! Big bright open spaces and contemporary design produce an extremely beautiful, spacious and tranquil spa-like atmosphere. You will feel instant relief as you walk through the door. The worries and stress of the real world fall away as you step into your tropical luxury retreat. The kitchen is light and bright with gorgeous ocean and mountain views. It is spacious with plenty of room to cook and entertain. 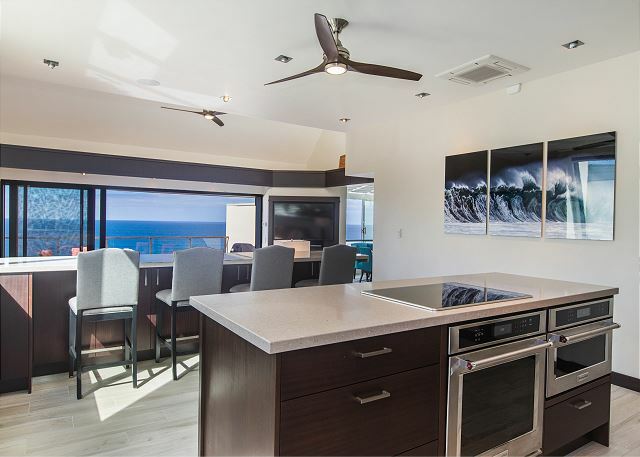 The kitchen features unique ocean facing seating perfect for family and friends to gather and celebrate being in Hawaii. Imagine watching for whales while enjoying a bite to eat in your own kitchen! 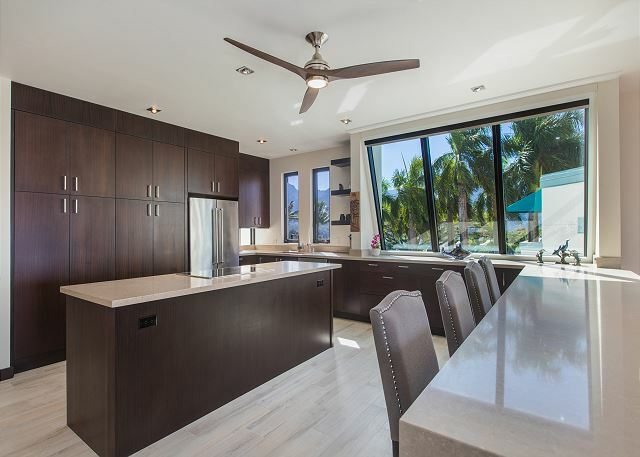 Custom-built rich, Sapele wood cabinets, luxurious hand-finished quartz counter tops and brand new, stainless steel appliances all provide the perfect setting for culinary magic. Kitchen is extremely well appointed so you can create all your favorite dishes. 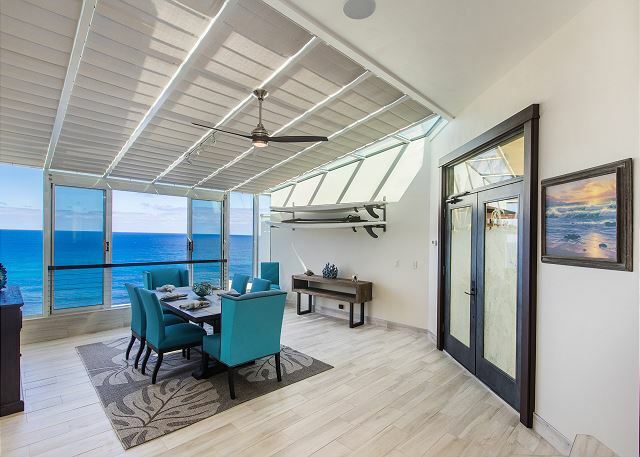 With its full ocean views, it is a gourmet chef’s dream! 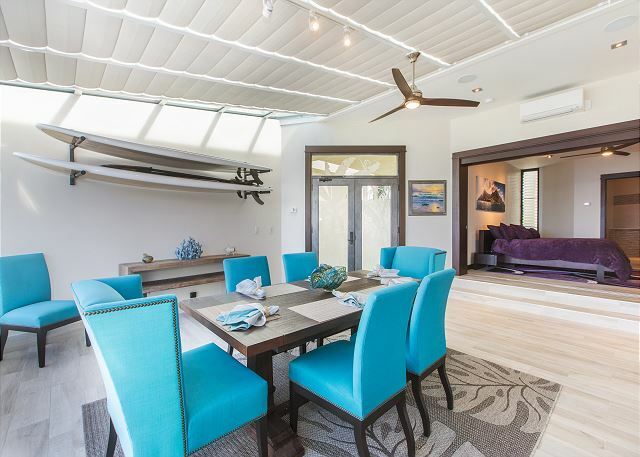 In addition to the dining area in the kitchen there is also a full dining room with beautiful artwork, elegant yet comfortable seating and magnificent ocean views. Duel master suites provide gorgeous ocean (and mountain) views and tranquil settings for deep sleep. Extremely comfortable bedding and the sound of the waves below will guide our most haggard traveler into a restorative deep sleep. Custom built Sapele closets and built-ins provide plenty of storage so you can really settle in and feel at home in elegance. 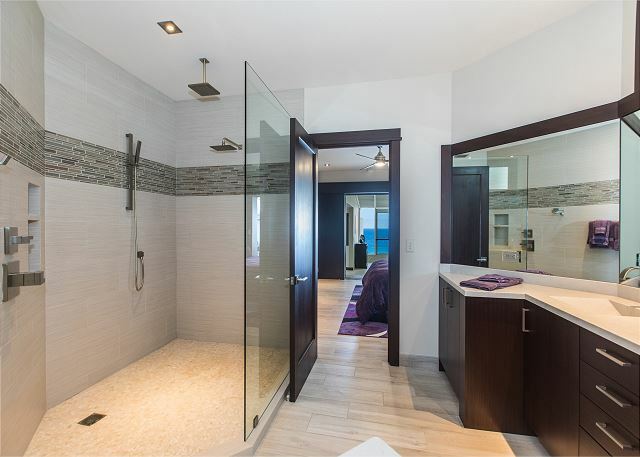 Master bath features massive walk-in shower for two with rainfall, wall-mount and handheld shower heads. Duel master bath is also well appointed. Every effort was made to create the perfect spa retreat. Laundry is no problem on vacation with a beautifully appointed laundry station featuring full size washer and dryer, spacious folding counter and hang-drying area. We loved everything. 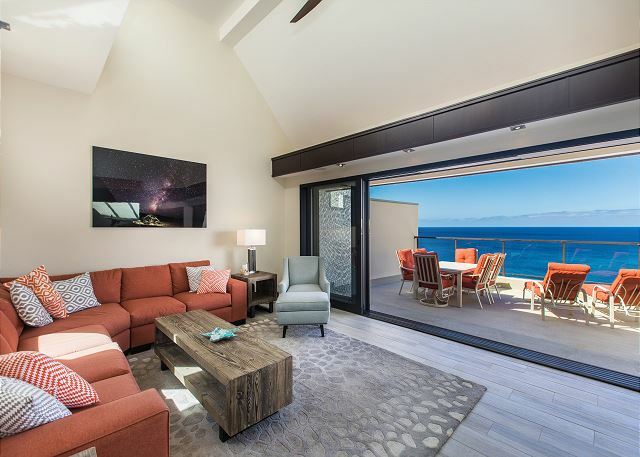 From the layout of the condo, to the ocean view, to the location. This was a fantastic condo and we'd highly recommend it. Pictures don’t do this place justice. This condo was perfect in every way. Perfect home away from home. The location of this condo could not have been better or more convenient. Shops and restaurants around the corner and close to the beach (be prepared for the hike down!). We had a great time and appreciated the amenities this condo had to offer. The fact that it had A/C was also a bonus. The finishings and appointments were top notch and it was super clean. The beds were very comfy too! I would highly recommend this place to anyone. 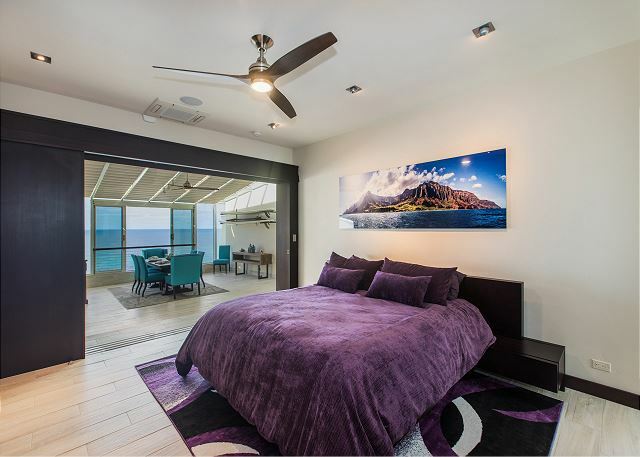 Exceptional unit, recently updated and very comfortable for 4 people with a beautiful view of the sunsets on Kauai. Very prompt and friendly service on a minor entertainment center issue. Would recommend this and company to others and would love to return! We had a wonderful time staying in unit 407 in Puu Poa. The condo is beautiful with incredible views. Watched whales breach with regularity every day from the balcony. Would highly recommend this location and unit.